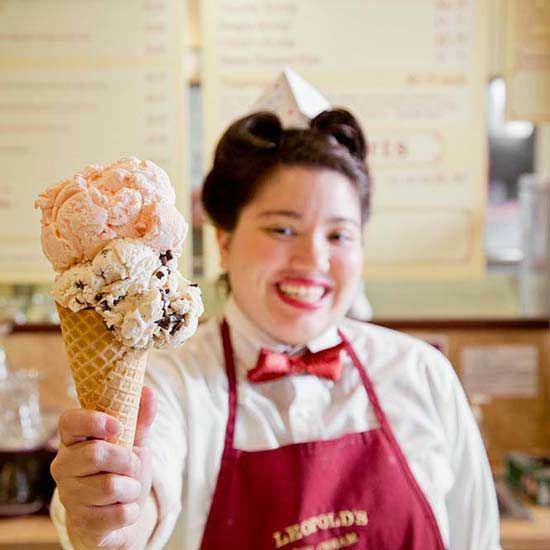 No matter when you’re headed to Savannah, Leopold’s Ice Cream should definitely be on your must-try (or re-try!) list. Located Downtown on Broughton St., Leopold’s has been a Savannah tradition since 1919. You’ll find its current owner dividing his time between producing in Hollywood and scooping what is arguably Savannah’s best ice cream. 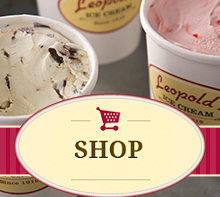 Leopold’s offers soups, sandwiches, and ice creams made fresh in-store every day. It’s especially nice to enjoy Leopold’s on a warm day and, if you happen to be traveling with a four-legged friend, they’re welcome, too! To tide you over until your next visit, Leopold’s now delivers and you can make Leopold’s Huckleberry Sauce at home. « 2016 Creative Writing Challenge Is Here!